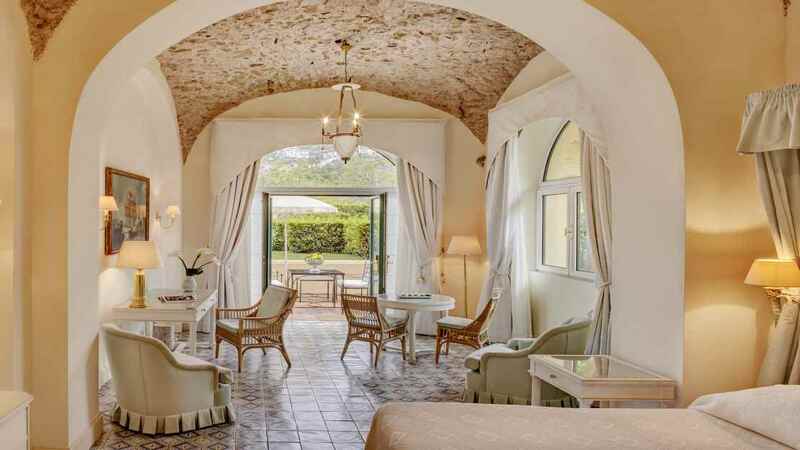 Indulge in a sublime slice of Neapolitan paradise at the Belmond Hotel Caruso in Italy’s romantic Ravello. Perched in a picturesque clifftop spot along the Amalfi Coast, an infinity pool stretches out beneath a panoramic horizon of verdant cliffs, sapphire skies and the azure Tyrrhenian Sea. 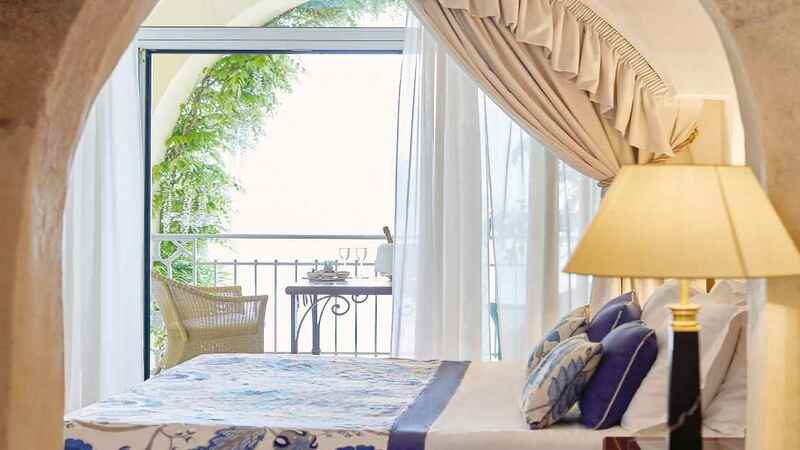 Striking bougainvillea drapes from the balconies of sumptuous, tastefully-furnished rooms and the scent of lemon groves and mouth-watering Italian cuisine is carried along a sea breeze. From your pretty clifftop perch, getting down to the local towns and beaches is easy with the shuttle service offered by the hotel, but be sure to include a gentle saunter around Ravello itself. 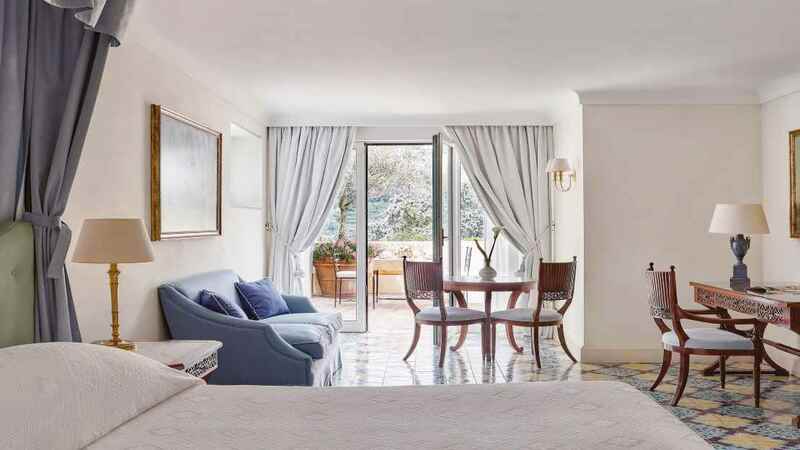 The Belmond Hotel Caruso offers a shuttle service to both Amalfi and Positano where there are 2 small beaches available. 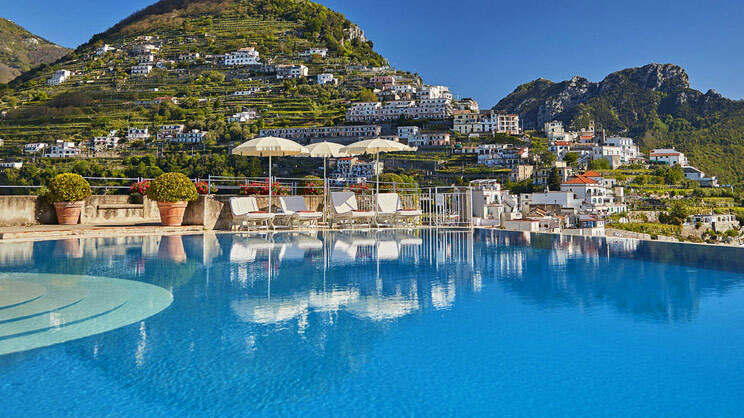 The hotel is situated in the clifftop resort of Ravello where there is a variety of restaurants and bars, but also offers a shuttle service to both Amalfi and Positano. 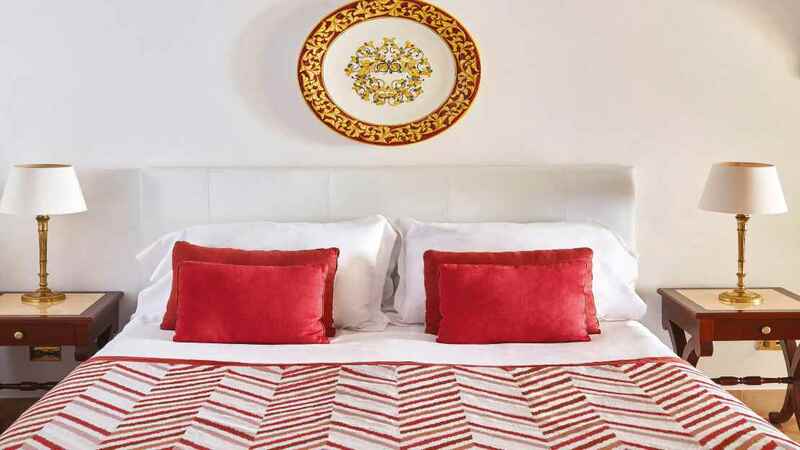 Naples International Airport is approximately 58km away from the Belmond Hotel Caruso.